This series outlines easy ways to save time and money and reduce stress to your back while harvesting, cleaning, and packing produce. 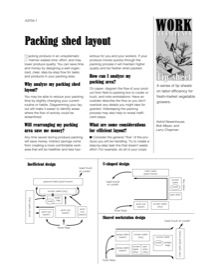 Packing produce in an unsystematic manner wastes time, effort and may lower produce. 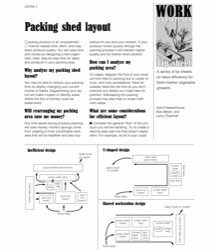 You can save time and money by designing a well-organized, clear, step-by-step flow for tasks and products in your packing area.